The fully air-conditioned city hotel is the ideal place for those who appreciate elegance, classic styles and fine quality. Designed in an Art Deco style, it comprises a total of 41 rooms, including suites and executive rooms. Facilities include: lobby with 24-hour reception, lift access, bar/restaurant, broadband Internet access and currency exchange. There is also a multi-functional conference lounge, a business centre and a reading room. 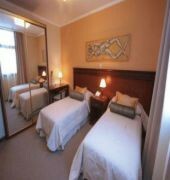 24-hour room service, laundry service, as well as medical assistance are also available.All rooms are harmonic and designed for pleasant stay. They all come with a double bed or twin single beds, an suite bathroom with a hairdryer and include: individually adjustable air conditioning and heating, direct dial telephone, voicemail, LCD cable TV with DVD, free high speed Internet access, alarm clock, minibar, magnetic door locks and a digital safety deposit box (laptop-size). 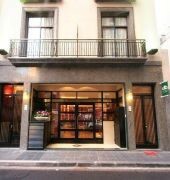 Some superior rooms have a balcony.This boutique hotel is located in the centre of the city, providing guests with the perfect oasis in the centre of the Argentine capital. 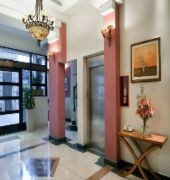 Next to Florida street, the hotel is near the mayority of the most well-known monuments and historic places of interest. 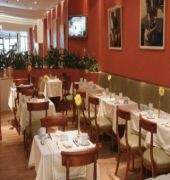 Guests will get to Puerto Madero and San Telmo neigbohoods just walking a few minutes.